Use of the tried and true password is not dead -- and not likely to be dead for some time to come. Even as biometrics and other forms of authentication become popular, the vast majority of sites and applications still require a password. Even biometrics have a downside as it's easier to force somebody to put a finger on a detector than enter a password. Sadly, most people still use terrible passwords. According to Troy Hunt, when a survey for CashCrate, a website resource for making money online, was breached in November 2016, 86 percent of the passwords had already been revealed in previous breaches that occurred with other sites. So, not only are people not changing breached passwords, but they’re continuing to use them on other sites. Many of these breached passwords include entries like “123456,” and yes, “password.” In 2016, people were still using ‘password’ as their password, which means they probably still are. Most of us do at least know better than to do that, but there are still ongoing problems. Many people reuse passwords across different sites, which allows for “credential stuffing” in the event of a breach. Other people may find that the “rules for strong passwords” equates to “rules to make sure I can never remember my password” and end up writing their passwords down, storing them in plain text or leaving them open to discovery in some other way. To alleviate this problem, passphrases can be used and are very helpful as they can actually be both easier to remember and harder to hack when brute force methods are used. This issue is also the main reason why more and more people are reusing passwords. For added security, many sites now offer or even enforce two-factor authentication, which is usually done by means of sending a text to your phone. This is excellent until you are overseas and don’t have roaming available on your phone. It also means that some people think that because they have two-factor authentication, they can get away with a weaker password. (A good analogy for two-factor authentication is a debit card and pin. This uses both something you have, the card, and something you know, the pin number). Also, two-factor authentication (2FA), which is based on SMS is insecure. This presents us with a problem: unless you have some kind of crazy eidetic memory, it is humanly impossible to remember a different secure password for each and every website you log into. Even a normal user may have multiple banking logins (one for your bank account, one for your credit card and likely PayPal). Then there are all those e-commerce sites to remember unless you buy everything from Amazon Prime. Add in cloud storage, collaboration sites like Google Drive, bulletin boards, online games and newspaper subscriptions, and you’ll discover that most people have 15, 25 or 30 passwords that they must remember, while a cyber warrior may have hundreds. The solution to this dilemma is a password manager that does the work of remembering (and often choosing) your passwords for you. Modern browsers have password managers built in. However, while this is better than having nothing, they are a rather half-assed solution. For example, Chrome’s solution stores the master password in an unencrypted form, making it vulnerable to a hacker who can then get into all of your websites. This defeats the point of having a password manager in the first place. With a password manager, you only have to remember one password. We recommend using a passphrase that you can remember. If you lose your master password, you will lose access to all of your passwords and will have to reset every single one of them. However, do not use a password manager that allows you to retrieve the master password. As annoying as a mass reset is, if your master password is compromised, you will have far worse problems. Password managers can also help protect you from certain phishing attempts. You might not notice that the site’s URL has been “typo-squatted” but your password manager will. If you are expecting your password manager to auto-fill your PayPal login and it doesn’t, you may be on a cloned site. In other words, for the sake of security and convenience, absolutely everyone should be using a password manager. Which brings us to the next problem: there are a lot of password managers out there. Which one should you use? This guide goes through some of the best offerings and gives you the pros and cons. There is no single best password manager as a lot depends on your needs and what devices you own, but the list below should help you work out which one fits your needs best. The article was updated on the 21st of January due to a recent report by ISE about severe vulnerabilities found in popular password managers. The researchers tested 1Password4 for Windows (4.6.2.626), 1Password7 for Windows (7.2.576), Dashlane for Windows (6.1843.0), KeePass Password Safe (2.40), and LastPass for Applications (4.1.59). You can read the findings HERE. And HERE you can find what the providers told ZDNet.com. 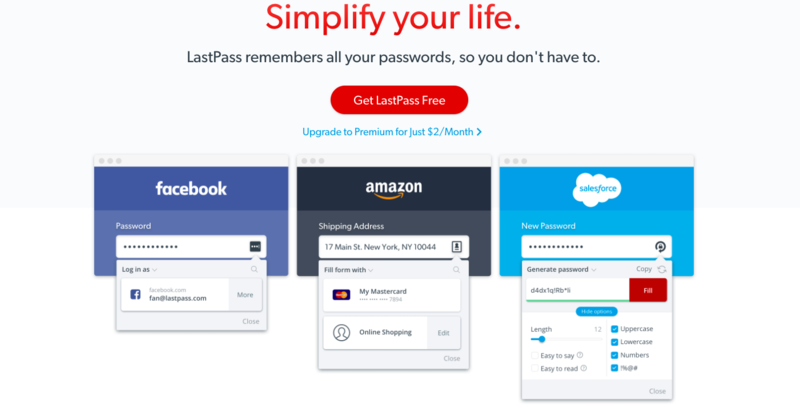 LastPass is one of the most popular password managers out there and may well be the only one some people have heard of. It’s popular for a reason — the free version covers almost anything an individual (or even business owner with no employees) could need, except for application logins, and it’s known for having good security requirements. Dashlane is a newer password manager. It has apps for almost every platform, extensions for every browser and can store passwords locally. 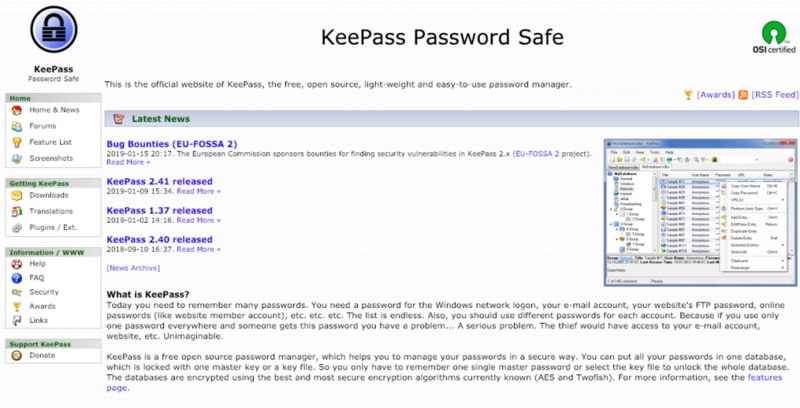 The big difference with KeePass is it does not store anything on the cloud. This is extra security for the paranoid or those who handle extremely sensitive data. It’s open source and completely free. Keeper is less well known but has a strong focus on security and supports most devices and browsers. It integrates with Duo for one-tap authentication. It can also stop people from logging into your account from other parts of the world, (which is good until you forget to change it when you go on vacation). Enpass is a pretty basic password manager but has the advantage of charging a (low) one-time fee rather than a subscription. It has great device support, including Windows Phone but does not support Blackberry anymore. 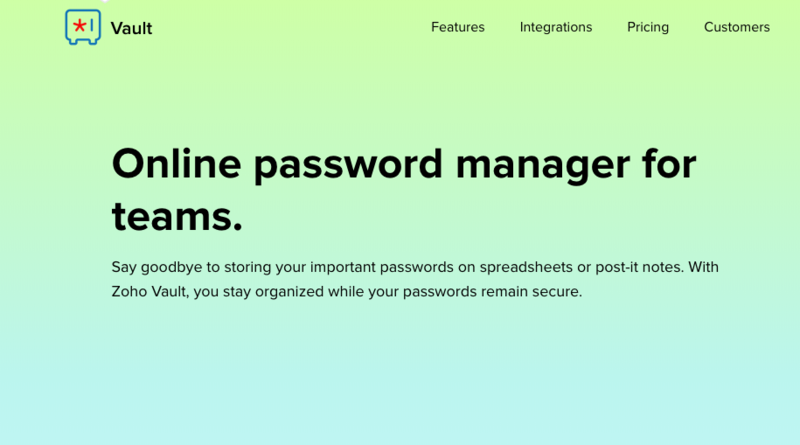 LogMeOnce calls itself “LogMeOnce Password Management Suite Ultimate” and has more features than any other password manager. It has a default passwordless login method that uses your phone (which may not be the best for people who travel a lot). Confusingly, they call their free version “Premium.” The issue is that many of the features are offered a la carte, so even paying for “Ultimate” doesn’t get you everything. Some of the more interesting add-ons cost extra too such as Account Freeze, which lets you lock down accounts, or Password Shock, which is designed to annoy somebody who stole your phone into giving up. This password manager has been gaining in popularity because of some very useful features on mobile and the fact that it can act as an authentication app. Comes solely as a paid only version. RoboForm is one of the oldest password managers, which puts it at a disadvantage. Even the latest update is a bit behind newer software. Zoho Vault is most useful for people who take their laptop to work or bring their work home. It’s key feature lets you have separate work and personal master passwords and vaults. Sticky Password is made by the former AVG executives. It’s known for supporting a wide variety of browsers. True Key has more emphasis on multi-factor authentication than other managers. It’s highly secure but lacks some of the features of its competitors. The free version limits you to 15 passwords. Does anyone have less than 15 passwords anymore? F-Secure KEY handles the basic password manager tasks well but lacks advanced features and charges for syncing.ng. Created by the anti-virus company Avast, this is a completely free password manager. However, the Windows version is only available built into Avast. Almost completely free -– the only features they charge for are one-touch login and alerting on compromised passwords. Bitwarden is a relatively new open-source password manager, which works on multiple devices. There are other password managers available, but they are generally more obscure and thus not covered in this guide. Again, there is no one “best” password manager. The best choice depends on the devices you use and what you need. Some offer higher security than others and may be priced for features you require. The key is to find the right software for you, and hopefully, this guide helped you at least narrow down your decision. Still have an aching question about password managers? Drop as a line in the comment section!